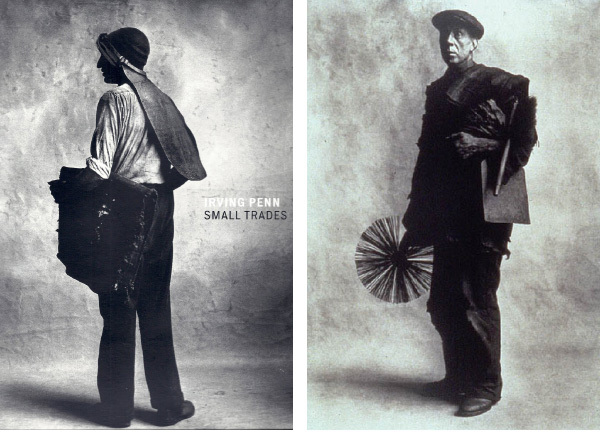 By: American Photographer Irving Penn – June 16, 1917 – October 7, 2009. For anyone suffering fatigue from occasion dressing how-to guides or advice tomes on the importance of shoetrees, ‘Jocks and Nerds, Men’s Style in the Twentieth Century’ is a unique resource worth hunting down. Published in 1989 by art, design and photography publisher Rizzoli, this cleverly compiled book explores the influences on what men wear and while over twenty years old is still relevant today. The authors, Richard Martin and Harold Koda, have both separately held the title of Curator-in-Charge of the Costume Institute at the Met and collaborated on many celebrated fashion exhibitions at the Fashion Institute of Technology in New York. Their finely tuned curatorial eye is evident in how the book approaches the subject of men’s clothing. Visually journeying through the twentieth century, the book presents twelve characters: the Jock, Nerd, Worker, Rebel, Cowboy, Military Man, Hunter, Sportsman, Joe College, Businessman, Man about Town and Dandy. Each archetype is given a chapter, through which their identity is explained and explored in text and images. The most interesting aspect is how it explores the archetypes visually through tightly curated images of film stars, artists, musicians, public figures and magazine editorial. A 1988 image of two casual American preppies sits opposite a photograph of John Kennedy relaxing at home in the 1950’s. Some 30 years apart, they feel incredibly similar. A goofy Woody Allen on one page and a Revenge of The Nerds II still on the next are offered as familiar and unexpected examples of the Nerd in fashion. By laying old and new images side-by-side, ‘Jocks and Nerds’ reveals the ongoing rotation of certain clothing identities that form the basis for how men dress and how designers tell men to dress. 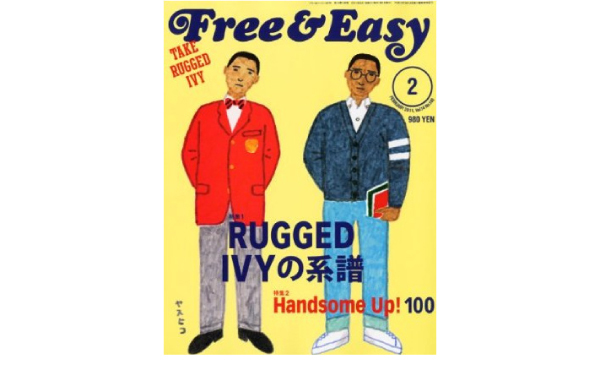 Reading it today and seeing clear connections to current menswear trends, the archetypes are obvious. For example in the last few years, menswear has seen the influence of the Worker (Post Overalls), Hunter (Junya Watanabe Fall 2009), Military Man (Nigel Cabourn), Joe College (Mark McNairy) and Man about Town (Pitti Uomo attendees). Men’s fashion moves at a snails pace compared to women’s fashion, and this is a good thing for anyone wanting to cultivate their sense of style. Brands exist that consistently produce proven styles every year while most women’s wear reacts to the previous season with a completely different look. 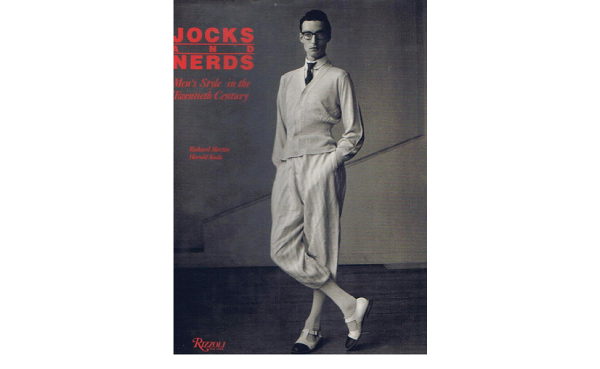 ‘Jocks and Nerds’ broad scope is a great starting point that allows men to explore clothing categories and styles independent of fashion’s current focus and decide what resonates with them.